Ali is Bussenger Financial Group's CFP and brings to our clients Advanced Planning Strategies related to Tax Planning, Estate Planning and Investment Planning. Ali has vast knowledge in all aspects of Wealth Management. 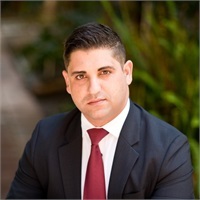 Ali Hashemian is a second-generation financial planning professional and has over 19 years of experience in consulting for both corporate and personal clients. Ali began his career at a young age with Capital Aspects, an independent financial consulting firm. While obtaining a Bachelor’s degree in Mathematics and Computer Science at the University of San Diego, Ali also worked for major financial institutions such as Pacific Life and New York Life. He went on to complete his Master’s degree in Business Administration with an emphasis in Finance from the same institution. Since then, he has obtained a degree in Personal Financial Planning from UCLA and a designation as a CERTIFIED FINANCIAL PLANNER™ practitioner. Ali served as the Regional Vice President for CFC Capital Partners, an Allianz owned independent agency. He has given numerous speeches and is considered a subject matter expert on topics such as tax-advantaged strategies, retirement solutions, and estate planning. In his free time, Ali enjoys traveling, sporting/entertainment events, and spending time with his friends and family. He is also an avid philanthropist and participates in various charitable and church programs such as World Vision, Free Wheelchair Mission, and Mariners Church outreach programs.